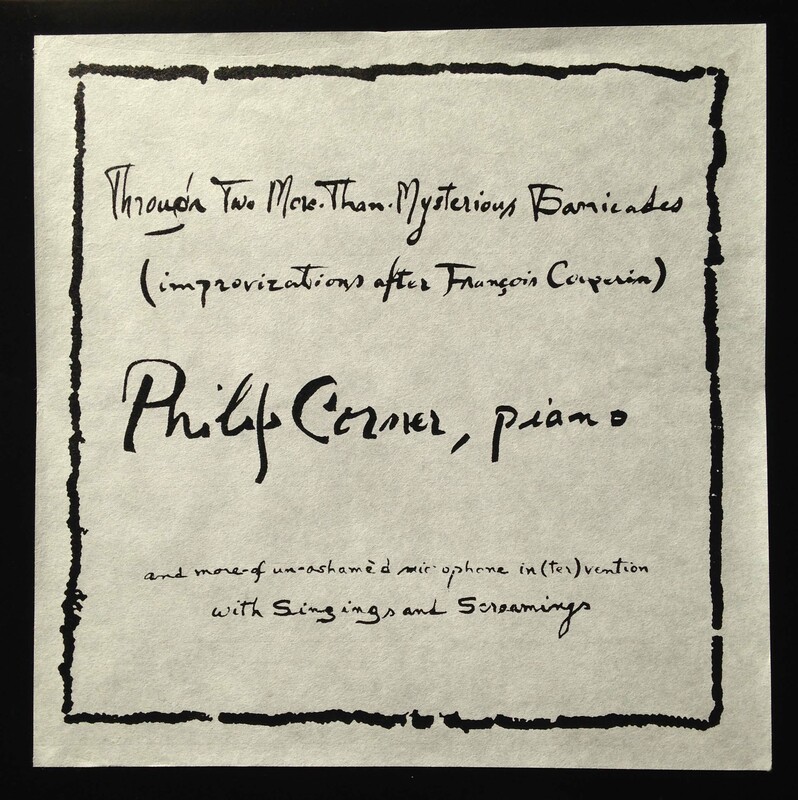 “Les Barricades Mistérieuses,” the harpsichord gem by French Baroque composer François Couperin, has been a long-running source of exploration for Fluxus musician Philip Corner, who for years has used it as a jumping-off point for piano improvisations. Through Two More-Than-Mysterious Barricades comprises two very different takes on the same piece. The first dates from 1992, in collaboration with dancer Paulette Sears (who provides the ‘singings and screamings’ of the album’s subtitle); it moves from a frenzy of abstraction to a more meditative take on Couperin’s composition, with diversions and tributaries along the way. The second, from 2004, is a rougher beast: recorded with wildly over-saturated levels, the tape machine itself becomes a participant in the performance, with its heavy distortion bringing out stormclouds of overtones from Corner’s piano. Through Two More-Than-Mysterious Barricades is released in an edition of 318 copies, with Corner’s calligraphy silkscreened on Kozo rice paper and mounted onto the jacket. Download coupon included.